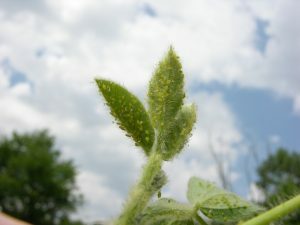 It has been a few years since soybean aphids have been noticed in fields this early in the season. This is in part, because many fields were treated with insecticide seed treatments and were assumed to be protecting the crop early in the season. 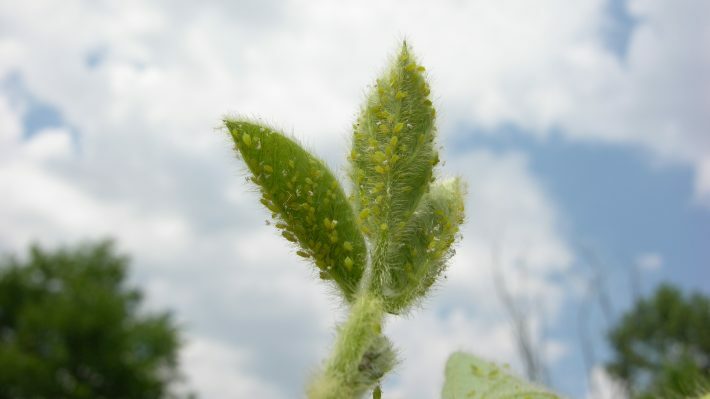 However, very recently published research across several US states has shown that the insecticide seed treatment only lasts in the plant for two weeks or so after planting and soon becomes equivalent to fungicide only treated plants in terms of providing no protection from aphids. This research also confirms that the IPM approach of a well-timed foliar insecticide at threshold in the R1 to R5 stages has greatest yield response. So bottom line is to not panic when you first find soybean aphids this time of year. It is normal to find them colonizing soybean fields in the early V stages, especially in early planted fields or fields close to buckthorn. Soybean aphids initially start to colonize in pockets of early planted fields. Several plants in these pockets can have hundreds, even thousands of aphids on them at first. Walk a few meters away from these pockets and you won’t find any aphids. Once the aphids start to get crowded on the plants in these pockets, they produce aphids with wings so they can spread out some more, colonizing new plants in the field or leave that field to enter a new one. Aphid counts per plant then change from several hundred per plant in small pockets in the field, to only a few per plant on more plants across the field. This continues to occur, particularly when the plants are still in their V stages. During this time, natural enemies start to notice their presence and will start to feed on these new colonies. Spraying too early when the colonies have just started will delay natural enemy populations from building up and responding to these aphids. Insecticide trials have not been able to show any yield response to sprays done on these V stage infestations. In fact, a spray application during the V stages can actually lead to problems as it easily wipes out the natural enemies that are trying to do the work for you. This results in aphids rebounding quickly and potentially requiring a second spray again once the crop does reach the R stages. A reminder that the soybean aphid threshold is set for during the R1 to R5 stage of soybeans when research found the an insecticide application is required once 80% of the plants in the field have at least 250 aphids per plant and it is apparent that the population is on the increase. This threshold gives an approximate 7–10-day lead time before the aphids would reach the economic injury level, where cost of control is equal to yield loss. Experience has shown that natural enemies can keep the aphid population fluctuating around the 250 aphid threshold. This fluctuation means they are working hard for you, trying to take down the aphid population. Only when you see that the aphid populations continue to rise instead of fluctuate, do you know that the natural enemies are not plentiful enough to keep up. More aphids per plant are needed once soybeans are in the R6 stage. 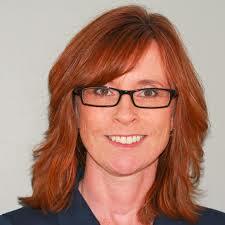 Beyond the R6 stage, economic return from any insecticide application is not likely. In good growing conditions when plants are not stressed and are lush, waiting until the aphids are closer to the economic injury level of 600 aphids per plant is possible. In years when plants are stressed and struggling to close the canopy, staying closer to the economic threshold of 250 aphids per plant is advised. The Aphid Advisor (www.aphidapp.com) is a helpful tool to use when scouting for soybean aphid here in Ontario. Developed by U of Guelph, based on field research conducted in Ontario, it determines if there are enough natural enemies to keep aphid populations in check or if an insecticide application may be needed. Just enter the number of aphids and natural enemies present during R1 to R5 and the app will calculate the potential buildup based on weather and natural enemy presence. Helps to take the guess work out of your spray decision.